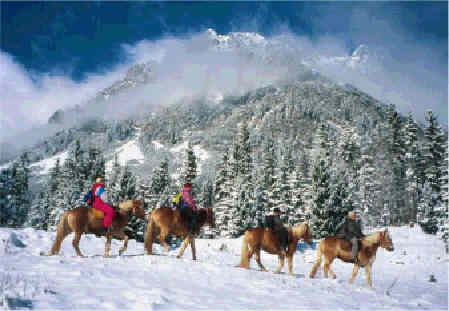 Horses, snow, clear air... which rider does not dream of a ride by the snow-covered scenery?! 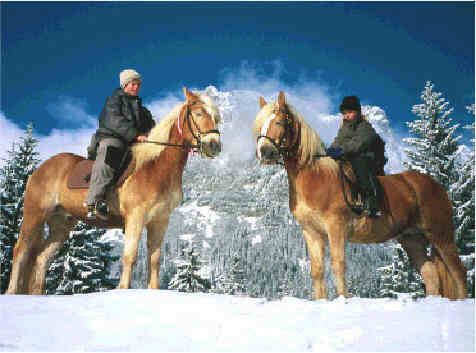 For it we also have in winter 10 horses at the Achlhof. Thus one can ride out with us also in this season every morning at 9 o'clock with company (approx. 50 min) - this costs 14 €, to the house company 12 €. One should control trot and gallop. Against previous arrangement rides are also possible at other times. 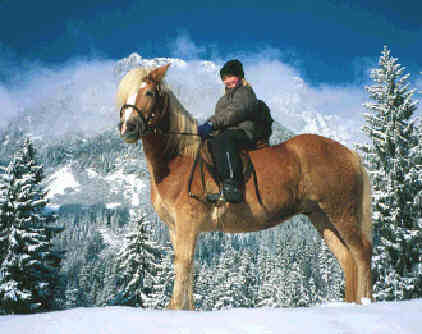 On inquiry we also offer longer rides, as for example the marvellous riding wandering in the area of the Faistenbichl (approx. 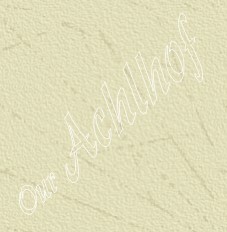 2 - 2 1/2 hrs) - to costs for it 28 €, the house company 24 €. We try to keep open our house distance also in winter. She has proved herself for many years very well for test horse riding or horse riding for morning muzzle. Costs half an hour (approx. 4 rounds) 7 €, the house company 6 €. 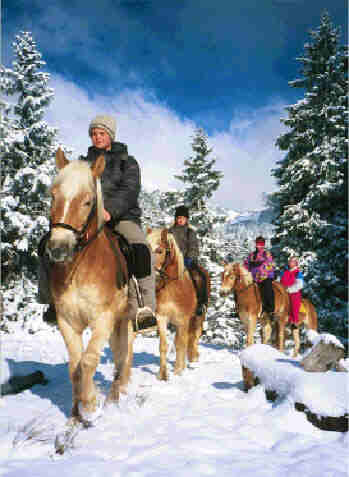 Because we are on the move in the afternoon mostly with the horse sledges, the parents should prepare to lead the horses independently or to supervise her children. Who wants to see even more horse pictures, simply click me!